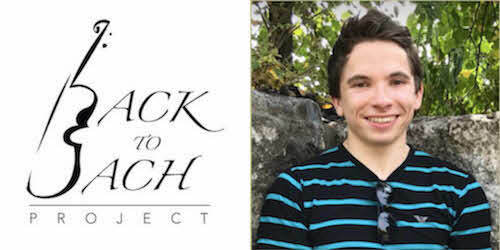 Joined by undergraduate students from Harvard University and New England Conservatory, NSM Alum Isaac Sebenius (piano) will present Back to BACH, an interactive performance and musical presentation. Appropriate for elementary and middle school students, this program will serve as an exciting introduction to classical music in an intimate setting. The audience will be treated to excerpts from well loved pieces on several different instruments, including a variety of styles and time periods, and presented in a fun and engaging way by young people with a passion for classical music.